Georgi received a Four Year Degree in Chess Education from Moscow, Russia in 1985 and has been working with many junior players. He led Villa Academy and Seattle Country Day teams to Washington State Championship titles in 1995-1996. Georgi’s students won both State and National Scholastic titles. Most recently, his student Megan Lee won US Girls Nationals under 18 in 2009. Michael Lee (Megan’s brother) was chosen for America Chess Team under 15 in 2009. Kate Tokareva is 2011 WA State Girls Champion and took 3rd place at the All Girls Nationals 2011. Georgi played in two US Invitational Championships, 1994 and 1995. Georgi’s best result was 7th place finish in 1994. His victory against GM Larry Christiansen won the Brilliancy Prize at the event. Georgi won Moldovan Championship twice and became an International Master in 1989. He scored his first Grandmaster norm in 1988, in GMA tournament in Belgrade, Yugoslavia. Author of many articles about chess published in “Chess Life”, “Inside Chess”, “New in Chess” (Holland), “Chess Informant” (Yugoslavia) and other magazines. He is the author of two chess books available here. 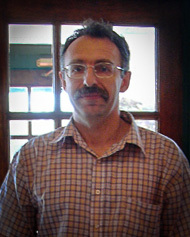 Georgi has been organizing and teaching Summer Chess camps in Seattle area since 1995. 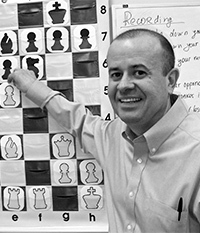 As an Executive Director of Chess Mates Foundation, Georgi also organizes after-school chess programs in Seattle area public schools. 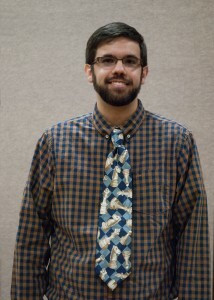 NM Josh Sinanan is President of the Washington Chess Federation and highly involved with Northwest Chess. FIDE Master David Roper holds a Ph.D. in History from Indiana University and he has taught both history and chess for over 15 years. He has a passionate interest in the competitive intensity and mental challenge offered by the ancient strategy game known as chess. FM Roper teaches classes and holiday chess camps at the Orlov Chess Academy. He also teaches at numerous schools in the Seattle area. Dr. Roper has achieved tournament victories in the WA High School Individual Championship, the WA Open, the Oregon Open, and the WA Class Championships (twice). A FIDE Master and US Senior Master, Andrey offers lessons to players of all ages and abilities with a fun teaching style and patience and attention to students. Andrey, age 51, lives in Federal Way with his wife and daughter. He recently moved here from North Carolina. He was one of the top rated players in the Charlotte area and two-times NC state champion. He is a co-champion in US Masters 2006 in Hendersonville, NC. Andrey won numerous chess competitions in Russia where he taught chess for several years at schools and chess clubs. 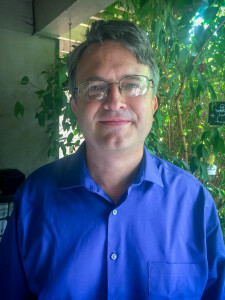 Andrey has over 30 years of experience teaching chess to adults and children, and coached several top players in California and North Carolina (NM Daniel Schwarz 2347, NM Joshua Mu 2252 and many others). 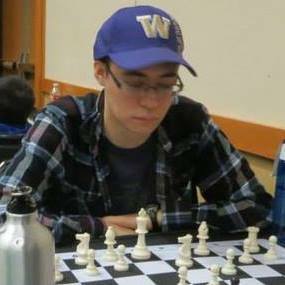 Travis Olson is an avid tournament player and chess coach in western Washington who has been teaching chess since 2012. He started playing chess competitively at the age of 16 when he joined the chess team at Kamiak high school in Mukilteo in 2008. Since he played in his first USCF event in January 2012, Travis has been very successful. He was the 2013 Washington Class B Champion and 2015 Washington Class A Runner-up. He has also beaten a Fide Master rated 2375 in a tournament game, and has won two simultaneous exhibitions, each against a NM. In early 2016 he achieved a peak USCF rating of 1961, being completely self-taught. On lichess.org, he is rated over 2000 in classical chess and over 1900 in blitz. Travis is also a tournament organizer and director, having directed several tournaments in Western Washington. 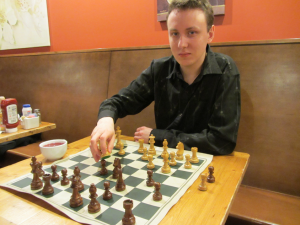 He has also written a articles for Northwest Chess magazine. His strongest coaching asset is determining the strengths and weaknesses of each student, and working with the student to improve where he or she is weakest. He he has taught at more than 30 schools, several in-home classes, chess camps, and center classes. Besides chess, he has also taught Minecraft classes and tutored math and science through the high school level. Our talented Coach Joey Frantz joined us in March 2019 to provide fun beginner and booster classes at Green Lake. 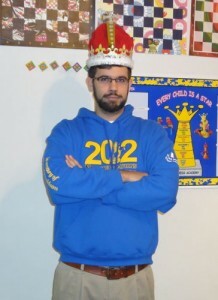 Joey Frantz is a USCF Expert with three years of experience teaching chess. He loves teaching, loves chess, and brings his passion, creativity and drive to each lesson he gives. His tournament accomplishments include 1st at the 2016 UMBC Open u1800 section and 1st in the Invitational Section of the 2018 Washington State Championship. Jacob is a Seattle native and he has been teaching chess for several years. He is the 2003 WA Junior Champion and Certified Tournament Director. Jacob brings 17 years chess-playing experience, as well as positive attitude, energy and enthusiasm for chess.